I have been meaning to write this post for a while. 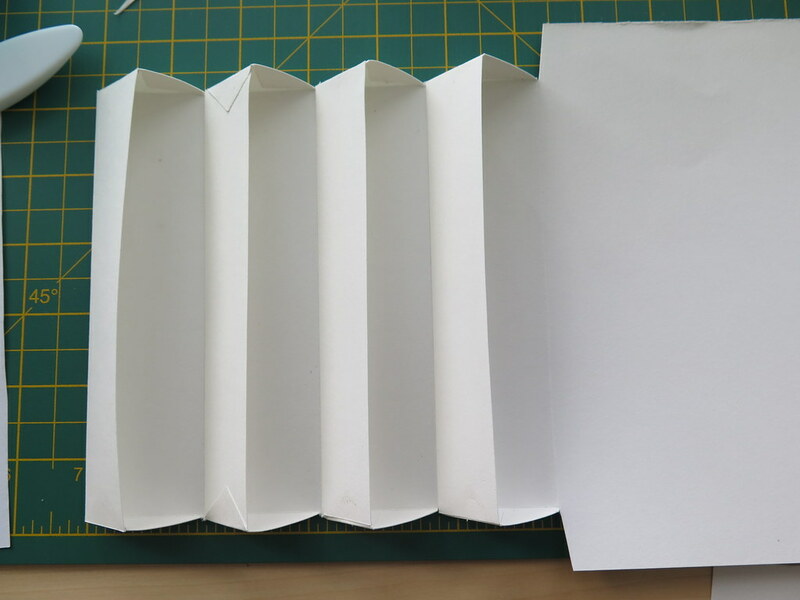 This is the first structure I tried from Art of The Fold by Hedi Kyle and Ulla Warchol. 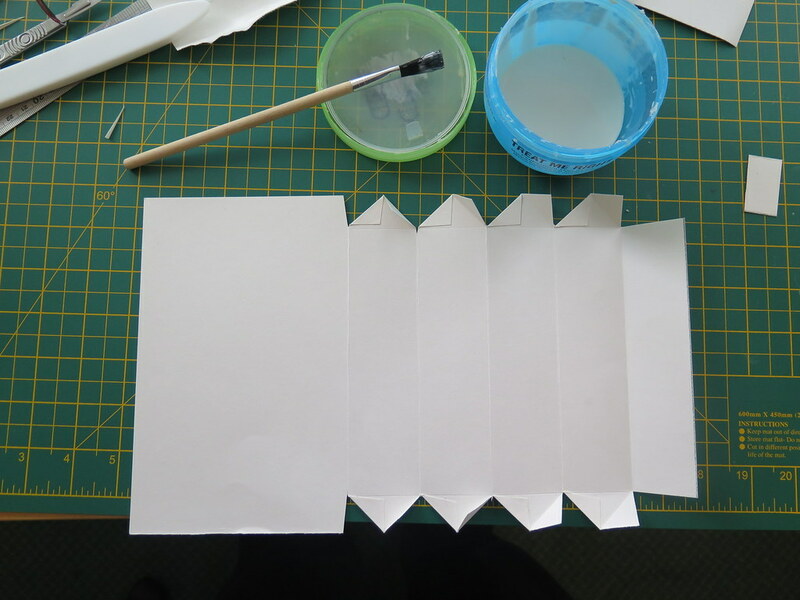 I decided to use cartridge paper for the practice box. I am quite pleased with the result although I did make one mistake – visible in the photo below. 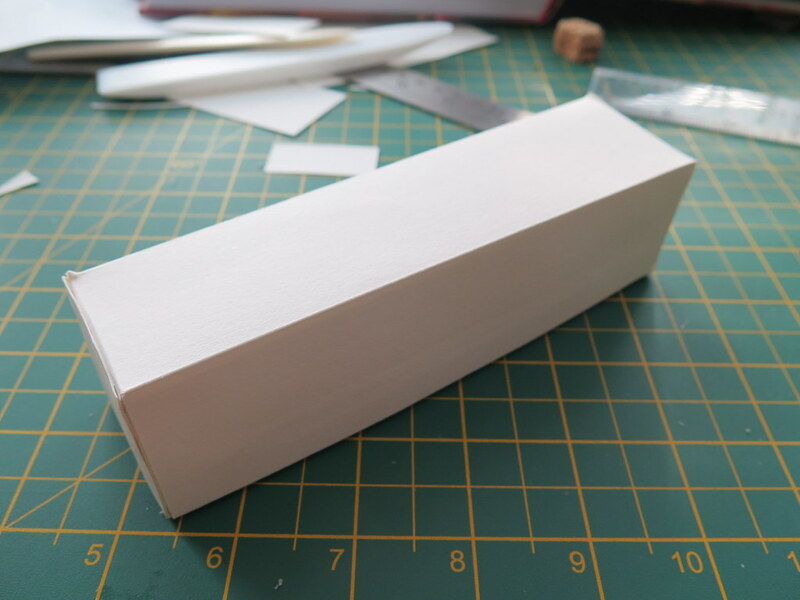 I folded the triangle corner on the outside instead of the inside. I was going to try to undo it but would have make more of a mess if I did – so decided to leave it. It will also serve as a good reminder how not to do it when I come to make it again. Once finished I couldn’t wait to put some of my found feathers collection in there. I started collecting feathers around 2005. This began when I was looking after an abandoned gull chick (I kept it’s feathers) and then began to see beautiful feathers everywhere! I mainly have Gull and Crow feathers but found some beautiful Raven feathers last year – they are much bigger than crow feathers and beautifully iridescent. 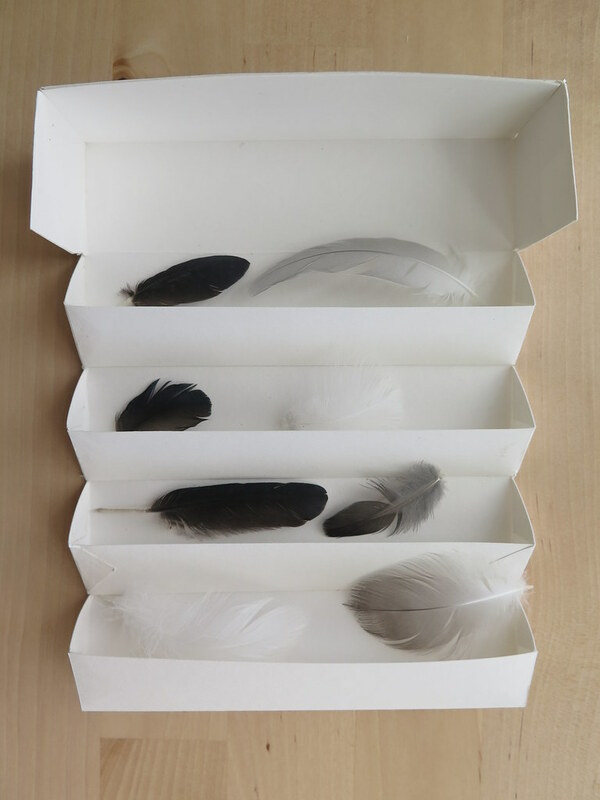 I would like to make a larger version of this box for the Raven Feathers when I have the time. 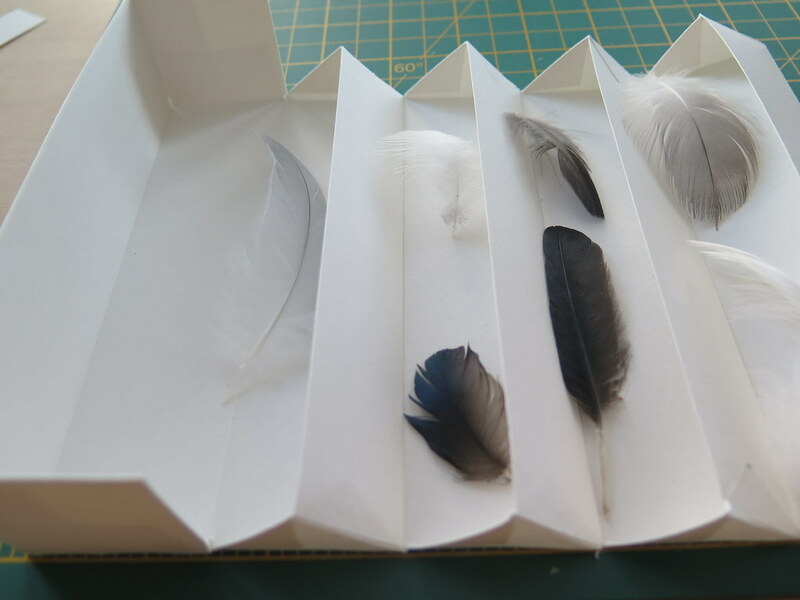 Now this has set me wondering – could I make it from tracing paper so you could see the feathers inside? Mmmmm…..more experiments.